Switcheo, the smart contract-based decentralized exchange on NEO, has recently posted its 22nd weekly round-up. The announcement featured news regarding the Community Chest events and Callisto update, which will include a new trading interface alongside the launch of an ERC-20 trading platform. The trading interface improvements are designed to further simplify the trading experience, and will include a new wallet manager, designed to make it easier for traders to manage or trade assets across different blockchains. The Switcheo team has designed the new interface and its functionality based on feedback from Switcheo’s most active traders. The interface update will coincide with the launch of Switcheo’s ERC-20 trading platform, allowing Ethereum-based tokens to be traded without requiring users to trust a centralized exchange with their funds. Combined with the wallet manager, Switcheo aims to make this trading experience much more intuitive. The improvements are due to launch as part of the Callisto update, which will have a short closed beta test. The beta test participants will be selected from a pool of previous beta testers and SWTH token holders. The Callisto Update is expected to be available following completion of the beta test and third party smart contract audits, with more details regarding the beta test to follow in the near future. The Switcheo Community Chest, a promotional community-building segment, has recently concluded the first two mini-events. The telegram sticker and GIF creation competition SwitcheoFUN winners have been announced, based on community votes. The winning entries can be found here, and will all receive an engraved Ledger Nano S hardware wallet. 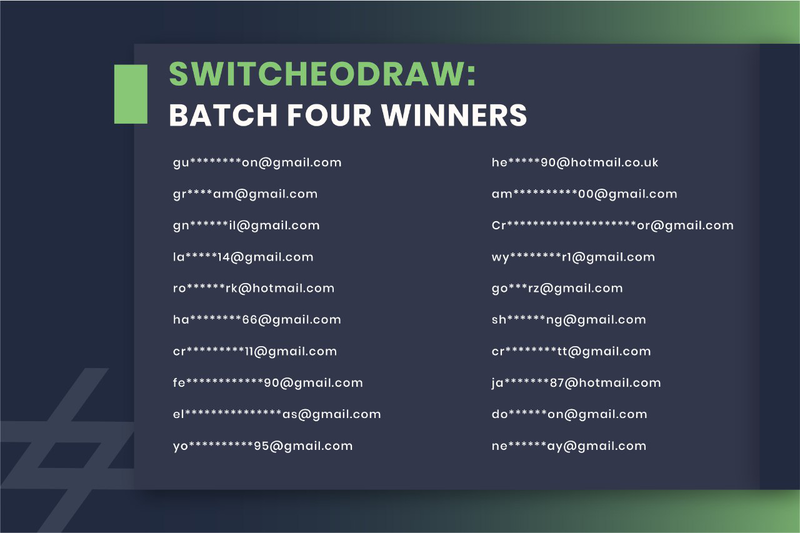 The final batch of the SwitcheoDRAW lottery event winners has also been announced, with each winner receiving assorted Switcheo merchandise. A list of winners can be found here. The next segment, SwitcheoPERKS, is also due to begin on the 25th September at 10:00 (UTC + 8). SwitcheoPERKS is a trading competition that will run for a week, ending on 31st October at 23:59 (UTC + 8). More details on the event can be found here. More information on Switcheo can be found at the links below.